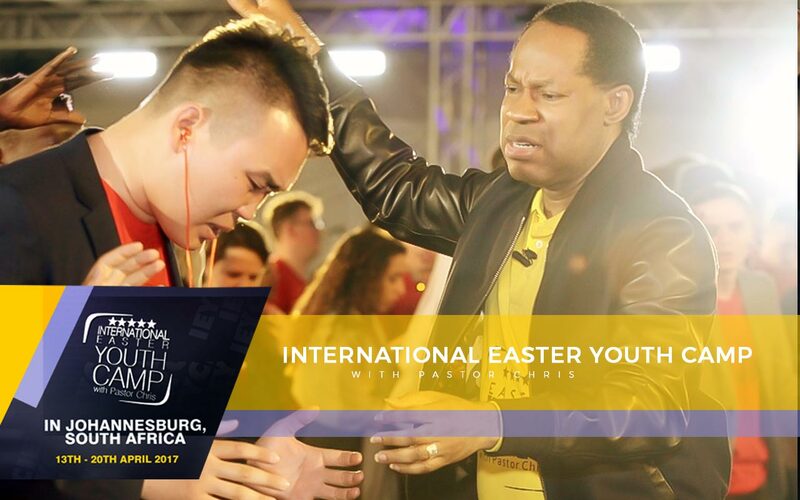 Youths represent various nations in a transformative Easter weekend with Pastor Chris. 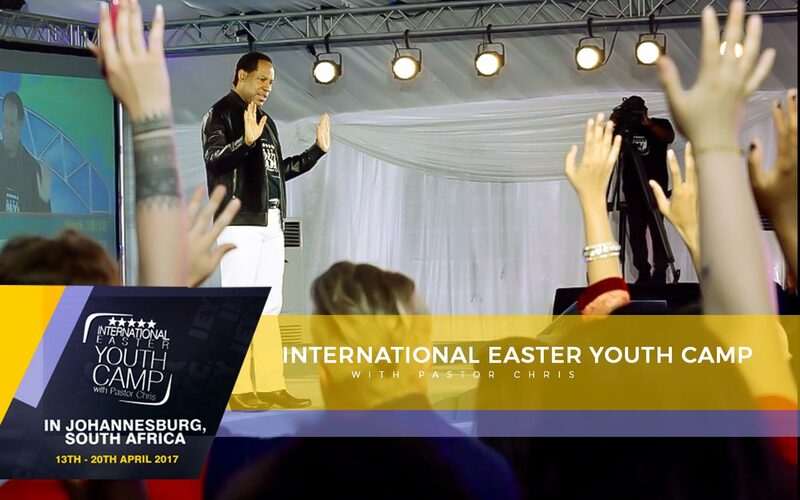 The 2017 edition of the International Easter Youth Camp with Pastor Chris was simply phenomenal! Delegates from various countries arrived promptly; each full of anticipation for a new level in their lives. The opening night's session began with moments of worship, along with many special presentations in music and dance from representatives of various countries. The highly esteemed Director of Church Ministry, Rev. Tom Amenkhienan, welcomed the youths to the program and encouraged them saying, “there’s something special about you being here, because you're special. You’re going to have an impactful, life-transforming experience. Open your spirit and receive everything that God is depositing inside you and you’ll turn out champions for life." He went on to exhort the youths with a message titled, ‘Your Destiny in God’. He explained that there are two kinds of destinies: the natural destiny, which is controlled by environment, economy and other such factors; and, the divine destiny, which a person enters into once they become born again. “Your destiny will determine your destination,” he said, expatiating that divine destiny entails unveiling God’s love, His Word and His glory to all men. “You’re God’s hope, His voice and His medium of expression in your world; that’s why you can’t keep quiet,” he admonished the youths. Indeed, their destinies were altered by the glory of God's revelations, and these young ones have been indeed transformed by the Word of God. Youths conclude adventurous day being inspired to fulfill God's dream for their localities. 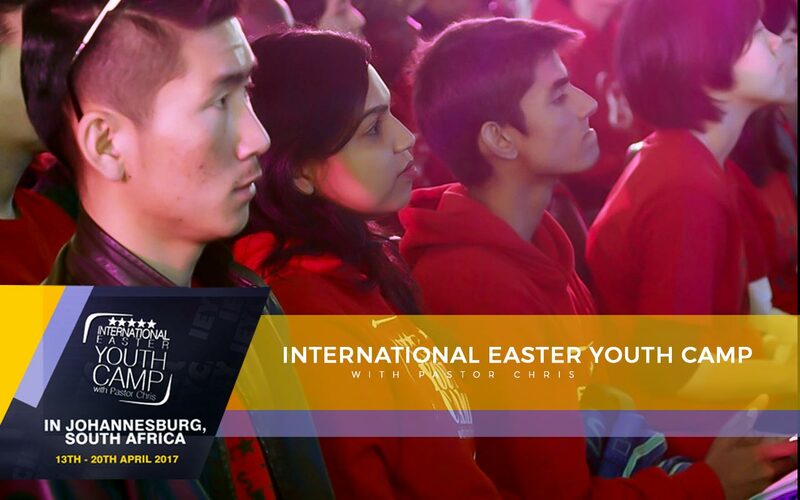 The third day of the 2017 International Easter Youth Camp was an even more glorious time; after a day filled with wonderful activities and visits to the Lion & Rhino Park and Gold Reef City, the delegates arrived at the evening session with so much enthusiasm for a time of spiritual enlightenment and insight. The delegates spent time to pray for their countries and the prevalence of the Gospel in their nations. They also prayed about the final healing service of the Autumn Session which held that same day. Indeed, the truth is marching on, and these youths are soldiers-in-training for the advancement of the God’s Kingdom. Expectations amongst the youths soared in anticipation of a memorable encounter; as they looked forward to attending the Healing Service with Pastor Chris. "There's something supernatural inside us," Pastor charges youths from around the world. 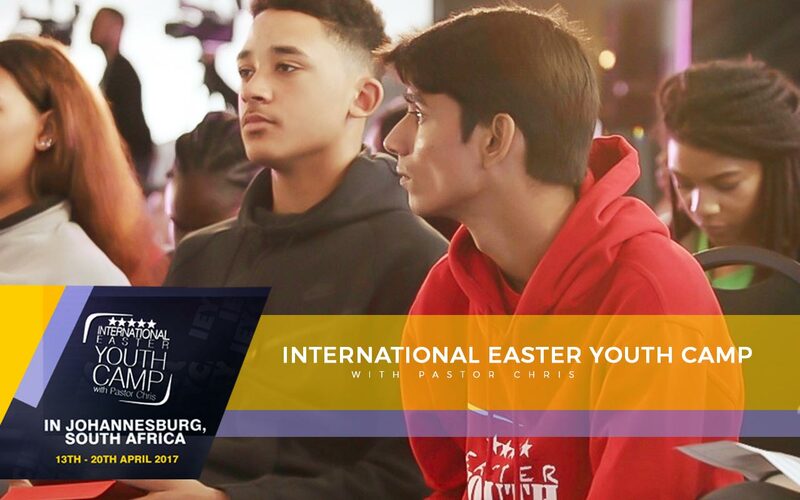 Delegates at the 2017 International Easter Youth Camp had their first exclusive meeting with the man of God, Rev. (Dr.) Chris Oyakhilome, on Monday evening. This was at the heels of 3rd healing service with Pastor Chris, where the youths had a most extraordinary time , partaking as witnesses of uncommon miracles on Easter Sunday. The session began with moments of prayer, praise and worship. The youths were blessed with special presentations from different countries. They were motivated to do more for the Kingdom of God as they listened to fellow delegates share their testimonies of advancing the Gospel in their respective regions and countries, despite the opposition. Moments of worship spurred the young people to revel in the glory of God’s presence. It was in this atmosphere of reverence and awe that the man of God, Pastor Chris, entered the arena. The delegates received insight and increased knowledge as the man of God answered questions that had burned in their hearts. Pastor Chris asked the youths, "How will you impact your generation? You’ve got to make a decision that your life is for the glory of God. No matter what you do, do it for the Lord. There's something supernatural inside us, and we’ve got to learn how to use it." The evening ended on a high note, and the youths departed with heightened expectations for the days ahead. "Big things happen when you worship," Pastor Chris teaches youths from several nations. Tuesday evening's session at the International Easter Youth Camp commenced with the youths glorifying God with open hearts and lifted hands. There were several talk shows, including a GYLF Talk Show on strategies for greater impact. In a discussion about their experience at the Camp thus far, one of the delegates said, "As much as I love it here, I can't wait to go back and start doing what God has created us to do. I look forward to the testimonies." The youths were ministered to in dance, songs and the spoken word by delegates from Venezuela, Botswana, Norway, South Pacific, United Kingdom, El Salvador, Syria and Nigeria. Expectant for increase in knowledge, the delegates glorified the name of the Lord and were deep in worship when Pastor Chris arrived for the meeting. He exhorted the youths on the importance of true worship. “Worshipping God with songs of praise and thanksgiving is very important to Him. So, when you get opportunities to do it, take it seriously, because big things happen when you worship,” he said. The man of God again gave the youths the opportunity to ask questions, and he answered each one with truths from the Bible, thus encouraging them to give attention to God’s Word. He also took time to specially minister to delegates who had health challenges in their bodies. It was indeed set to be a time of celebration and impartation for all. In Pastor Chris’ words, “[it] will be very special.” Glory to God!. Pastor Deola inspires youths to be heroes for Christ, following morning exercises with Pastor Chris. 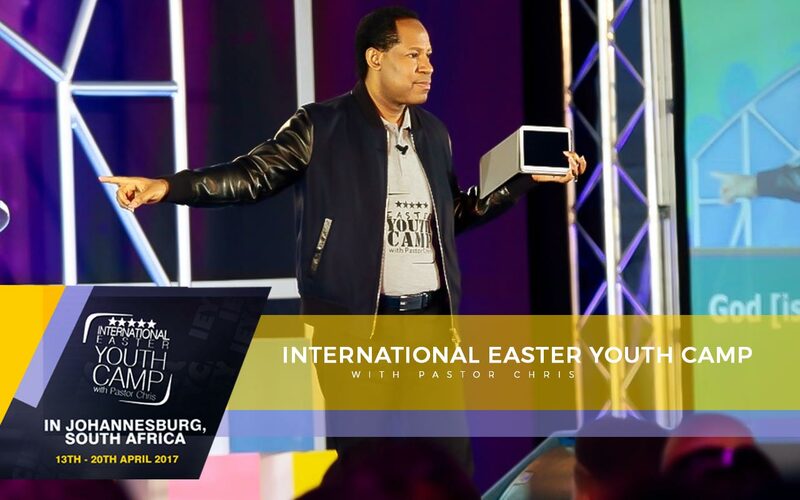 It’s the final day of the 2017 International Easter Youth Camp with Pastor Chris. Things were taken up a notch as the delegates woke up to a special morning drill with the BLW President, where the delegates had their physical endurance tested and pushed. The morning session featured special presentations from representatives of various countries. The delegates sang, danced and clapped, cheering their peers on during the ministrations. The campers had a special class with Pastor Deola Phillips, Director of the Healing School & ISM, where she taught them about being heroes for Christ, emphasizing that the purpose of the Christian is to demonstrate the praises of God to their world, and that every child of God has a hero inside. “The world needs heroes and role models,” she said. She also highlighted four factors for unlocking the hero within: desire, dedication, determination and discipline. The morning session ended with the youths praying concerning their desires for God and the readiness of their mission fields after they return to their respective countries. Afterwards, the campers proceeded to other activities on the line-up today. "Be the David to your generation," Pastor Chris charges delegates in final session of Youth Camp! 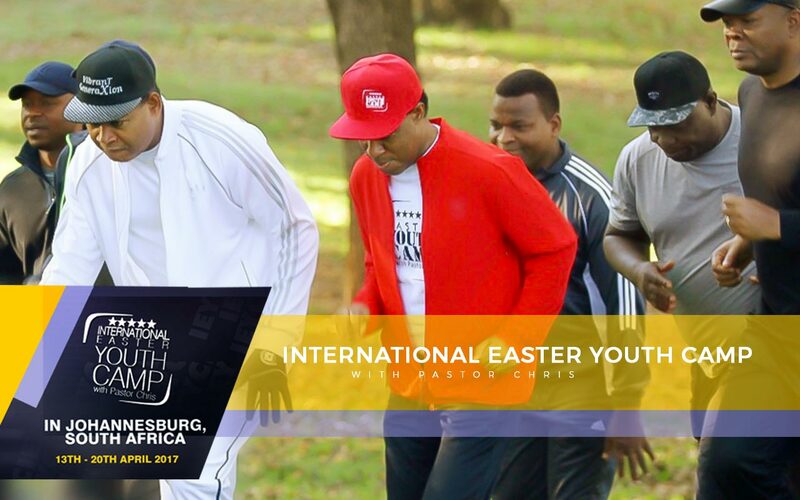 The concluding session of the 2017 International Easter Youth Camp was a glorious and remarkable encounter. Excited and looking forward to receiving all that the Spirit of God had in store for them, the delegates arrived for the meeting. Afterwards, Pastor Chris ministered specially to delegates who had health challenges, and then proceeded to impart the youths in various categories with a special grace, equipping them for this new level of their walk as ministers of the Gospel. The man of God brought the program to a close as he pronounced blessings upon the congregation, prophesying that each of the youths will make great impact for the Gospel and shake the world. It was a beautiful sight to behold; surely, these youth campers will never be the same again. They had been set afire and are full of divine energy to preach the Gospel like never before.